The MSO Dazzles with "West Side Story"
The other recent tributes to Broadway have been courtesy of the Milwaukee Symphony, which hosted six-time Tony winner Audra McDonald for a thrilling concert, and then offered audiences the extraordinary opportunity to see the 1961 movie version of “West Side Story” in Uihlein Hall, with the full orchestra performing Leonard Bernstein’s sweeping score live, underneath the movie screen. 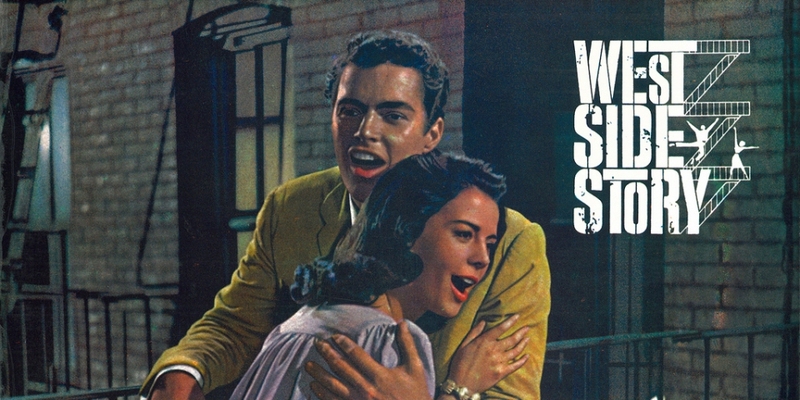 By taking the orchestra out of the pit, and filling it out to a luxurious scale that modern live musicals could never accommodate, this “West Side Story” put the spotlight squarely on the music and musicians, while still allowing us to appreciate the classic performances by the movie’s stars — Natalie Wood, Rita Moreno, George Chakiris, and Richard Beymer. In contrast to conventional productions, the symphony was actually allowed to overpower the dialogue and singing occasionally, which wasn’t a problem since the movie included subtitles, and I would wager that much of the audience members knew the script by heart. A modern re-telling of Shakespeare’s “Romeo and Juliet,” the original 1957 stage production was truly a meeting of great minds. Conceived, directed, and choreographed by Broadway legend Jerome Robbins, the long, stylized dance sequences “West Side Story” are still astonishing, if immediately recognizable. And complementing Bernstein’s genius score, Stephen Sondheim made his Broadway debut as lyricist. Not only great material, “West Side Story” is also a great choice for bringing the score to the foreground, because it has so many long passages that rely on the music to communicate emotion, urgency, conflict, and passion. The entire opening section, for instance, introduces audiences to the New York neighborhoods that have become a battleground for the modern Montagues and Capulets. The gang members taunt and attack each other almost wordlessly in gritty, cement-covered playgrounds surrounded by chain link fence, sites of demolished buildings, and dark back alleys, while the score rises and falls with confrontations and reversals. Similarly, the dance at the gym where the modern Romeo and Juliet, Tony and Maria, first meet features a long dance sequences, where the music communicates hearts beating faster as sexual tension rises, along with the animosity between rival gangs. The score also does much more to inform us about Tony and Maria’s dreamy, instant attraction, oblivious to the ingrained hatred of their loved ones, that will ultimately tear them apart. Another key section of the film that is completely dependent on the score for its drama and tension is the doomed “fair fight” that the Jets and Sharks engage in under the highway. As Tony tries to stop the violence completely, tempers flare, knives are drawn and by the end of the rumble, Maria’s brother Bernardo and Tony’s best friend Riff are both dead, Tony is on the run, and Chino is looking for revenge. The large percussion section shined brightly in this sequence. Led by conductor Wiliam Eddins, the symphony members were not only pitch perfect in their performance of the score, they succeeded in lining up the beat with the visuals of the film, which is no easy task. Unlike live actors, who can adjust to slight changes in tempo, performing with a movie requires absolute precision. To maintain an unchanging pace, many of the musicians used an earpiece with a “click track.” This audio guide can also help musicians follow along with numbered measures and get ready for entrances. While the score of “West Side Story” feels evergreen, the movie is definitely a period piece. In fact, seeing the warring gangs of Puerto Rican immigrant Sharks and juvenile delinquent white Jets in New York’s Hell’s Kitchen in the 1950s is downright quaint. Gang members putting on suits and ties in order to set the terms of their next showdown seems so civilized. But just as the hatred portrayed in Shakespeare’s classic doesn’t go out of style, many portions of the movie were disturbingly relevant. The dislike and dismissal of Latinx immigrants. The cop who goes out of his way to harass people of color. The escalating violence and tragedy that ends with gunshots. Then there’s the silly convention of putting dark make-up on a woman of Russian ancestry (Natalie Wood) and the son of Greek immigrants (George Chakriris) so they could play Puerto Rican roles. But let me tell you Buddy Boy, on a rainy Sunday afternoon there really was no better place to be than the crowded Uihlein Hall, getting to experience a favorite musical with hundreds of other fans, feeling the vibrations in the auditorium as the music swelled, and snapping along with Riff and Bernardo. You know it, Daddy-o.